Hurricane Matthew ravaged Haiti, the Bahamas, Florida, and points north in early October. Lives were lost; homes were destroyed, and infrastructure sustained massive damage. Here in the Bahamas, Hurricane Matthew created an unforeseen national crisis – a beer shortage. Yes, a beer shortage. This is how it happened. 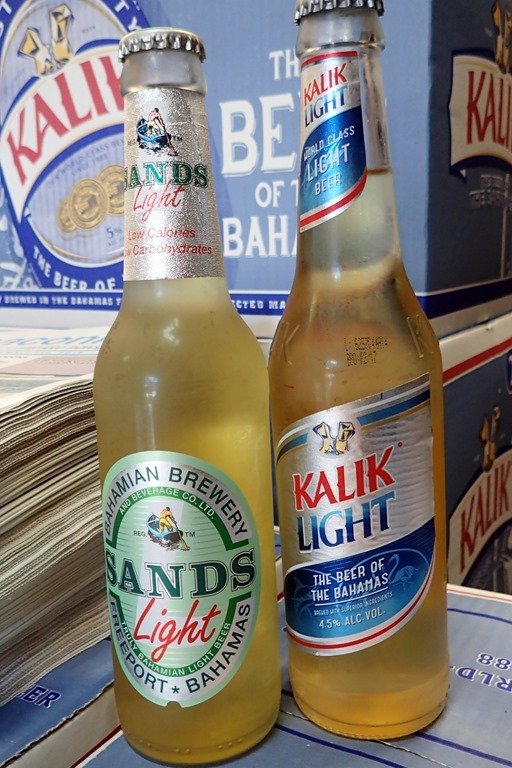 There are two breweries of Bahamian Beer – one in Nassau and one in Freeport. Both communities sustained direct hits from this Cat 4 hurricane. The Commonwealth Brewery, home to Kalik, including Kalik Light, Gold, Lime and Radler, is owned by Heineken and also produces Heineken and Guinness. Its production facilities are located in Nassau, which Hurricane Matthew hit hard. The brewery sustained extensive damage to its roof and had to temporarily halt production. 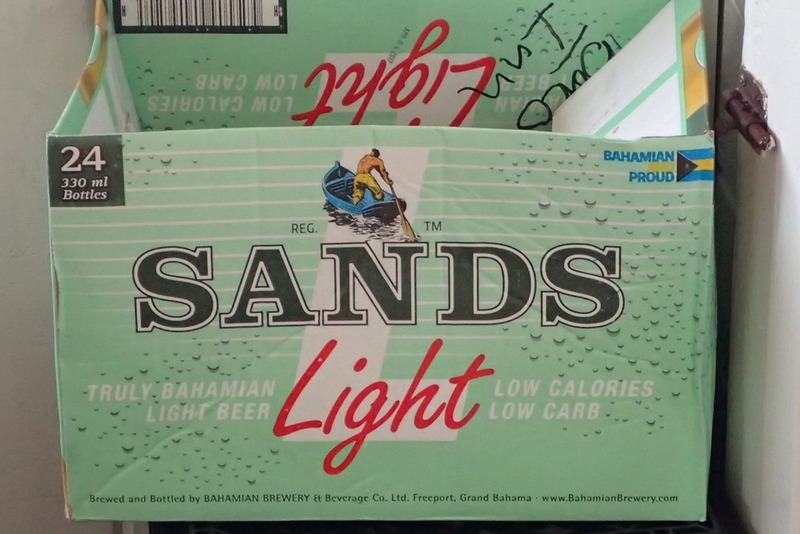 The other local brewery, the Bahamian Brewery, is the source of Sands, Sands Light, and High Rock Lager, among others. 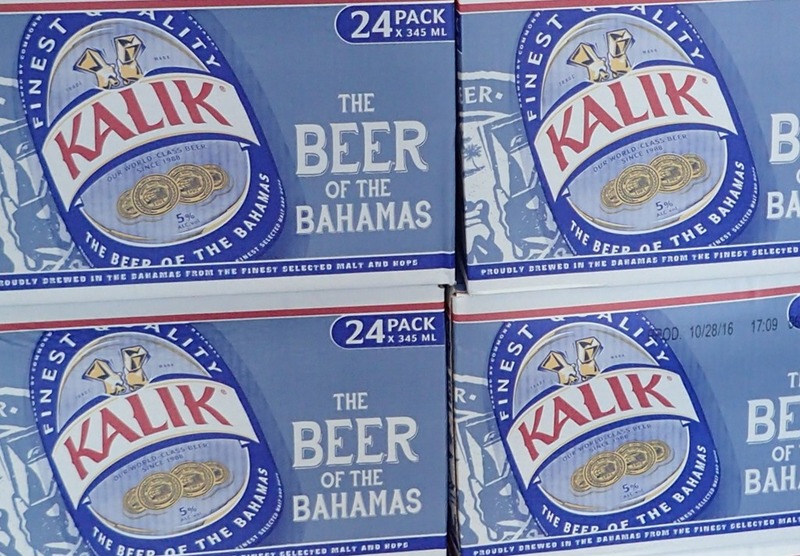 This Bahamian-owned brewery is located in Freeport on Grand Bahama Island, which also took a direct hit. Both breweries worked hard to restore inventories and rebuild facilities, roads, and docks. Once able to resume production, they even put on double shifts. Meanwhile, the beer shortages had their impact. In some locations, beer was rationed – only 12 bottles per buyer at one liquor store near here. And with three weddings last week-end on Elbow Cay, venues were scrambling. But good news! 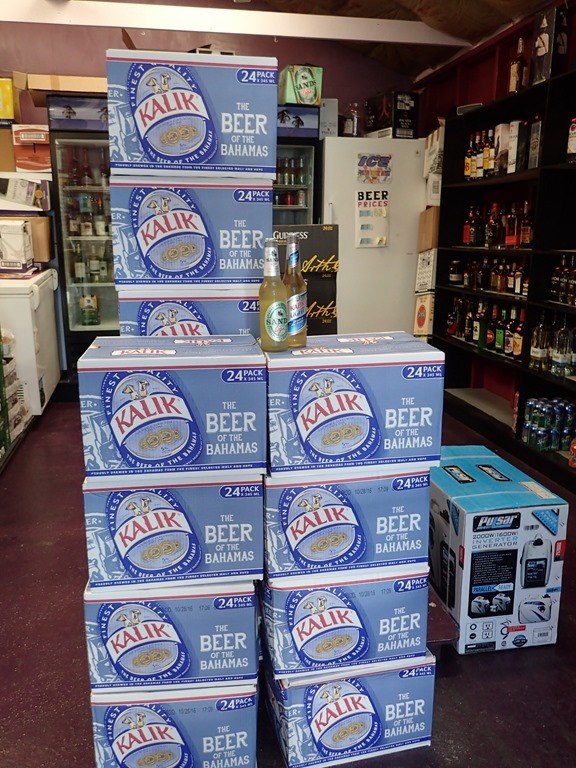 On Tuesday HopeTown’s main liquor store received its first major shipment of Kalik beer. Whew! Crisis averted. And a full recovery is expected as all affected are making up for lost time. How did they even have those weddings without substantial beer inventories ! ?